Xining is a key to the northwest of China. It'very popular to the travelers who want a trip to Lhasa by land. As the capital city of Qinghai, Xining is the political, economic, cultural and traffic center of the whole province. In the past, Xining was a must-pass of the Silk Road and the ancient path of Tang and Tibet. Xining shares a common Buddhist faith with Tibet, and it's the gateway of Qinghai-Tibetan Plateau and a city where Qinghai-Tibet railway starts. We suggest you fly to Xining and enjoy your Xining Tibet Tour by train. It will be of great benefit to you to take a look at the amazing landscapes along the road and overcome altitude sickness as soon as possible. The first station is to visit Qinghai Lake, the largest inland and salt lake in China. Then take the train from Xining to Lhasa, which will take you around 22 hours. 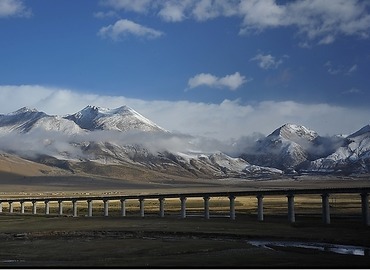 You can enjoy the most beautiful landscape of Qinghai-Tibet Railway along the way. Short stay in Lhasa, you will visit Mt. Everest and Namtso Lake to enjoy the breathtaking natural scenery. 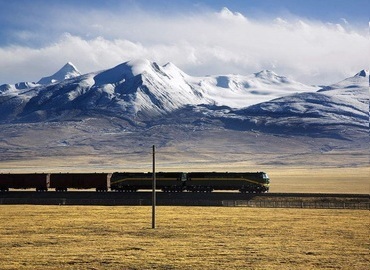 Taking a train from Xining to Lhasa is a good idea to get a better view of the ultimate beauty of the Qinghai-Tibetan Plateau with a more comfortable experience and fewer reactions to high altitude. After spending a whole day on the train, you will arrive Lhasa to start an excellent trip around this holy land of Tibetan Buddhism. Fly to Xining after arriving in Chengdu, then take a train to Lhasa, at last flight back to Chengdu again. This circle tour shows travelers the most important scenic spots in three cities, which means travelers can experience three different charms within 10 days. What is the best time to visit Xining? Located in the northwest of China, Xining is a hot tourist destination for travelers who plan to have a China Tibet Tour. Weather plays an important role for most travelers. The temperature in summer is not high, but the winter is too cold. The temperature varies differently from the day and night. To protect your skin from being sunburned in the daytime, you'd better take your sunglasses, hat, long sleeve clothes, suncream, and so on when traveling to this high altitude place. The best time for tourists to head to Xining is from May to September. Not only can you enjoy the unique plateau scenery, but also you can enjoy the grand festivals during this period. How to get to Xining? There are three main ways for tourists to get to Xining, taking a train, taking a flight or taking a bus. 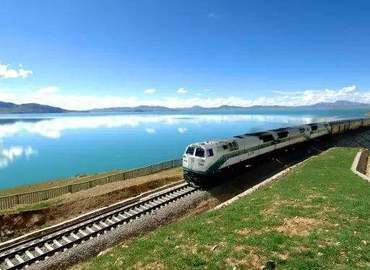 Taking a train to Xining: Due to the construction of Qinghai Tibet Railway, Xining has become the major gateway for tourists who want to travel from Xining to Tibet. The railway connects many major Chinese cities with Xining together, including Beijing, Shanghai, Xi'an, and Qingdao. You can take a train to Xining in these cities. Taking a flight to Xining: if you want to take a flight to Xining, you need to arrive in the following Chinese cities such as Beijing, Guangzhou, Kunming, Shenzhen, Xi'an, Chengdu, Chongqing, Dunhuang, Golmud, and Urumqi. Taking a bus to Xining: buses are available to the public in some major cities or towns such as Golmud, Dunhuang, Lanzhou, etc. You should have a better understanding of the local condition before taking this away. What are the top things to do in Xining? The reason why Xining is so attractive is that the natural scenery in Xining is charming and unique. There are some popular scenic spots which are worthy of being recommended to you: Qinghai Lake, Dongguan Mosque, Taer Monastery, Bird Island, Sun & Moon Mountain, Gold, and Silver Grassland, Chaka Salt Lake, etc. Why Better to Take Train from Xining to Lhasa?